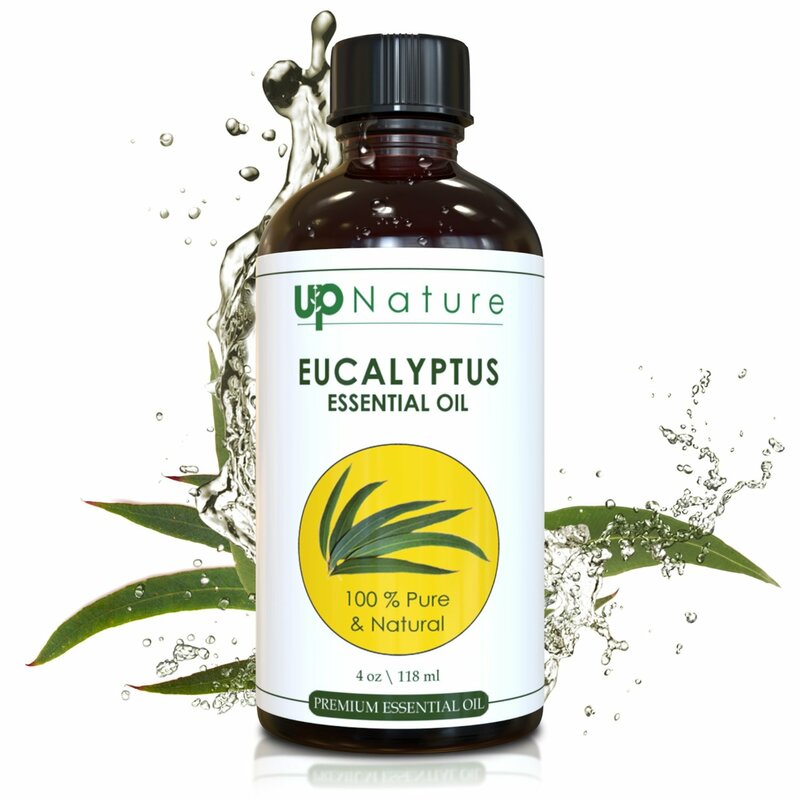 100% Pure, Gentle and Effective Natural Eucalyptus Essential Oil. Without Any Toxins, No Additives, Unfiltered and Undiluted. 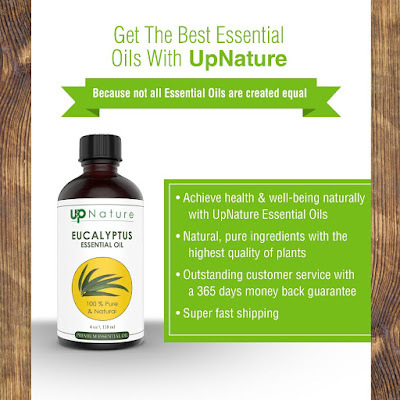 UpNature was founded by two brothers, with a vision to provide 100% all natural products, for easy, effective & natural solutions for health & well-being. So everybody can live happier and healthier lives. NATURAL MOOD ENHANCING, REFRESHING AND ENERGIZING FEELING WITH EVERY BREATH YOU TAKE. It's the best healing alternative to common medicines and in most cases it works faster while having the double effect of preventing the common colds in the first place. Eucalyptus Essential Oil is known to be extremely effective against the common cold, coughs, and for remedying sinus issues, as it eases mucus, thereby clearing the head of any "stuffiness". 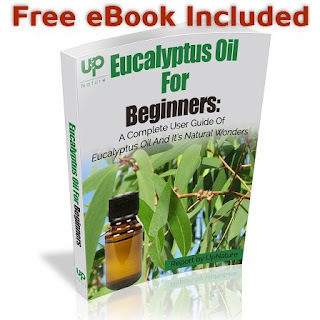 Because it is both cooling and germicidal, eucalyptus can help with fevers and migraines. 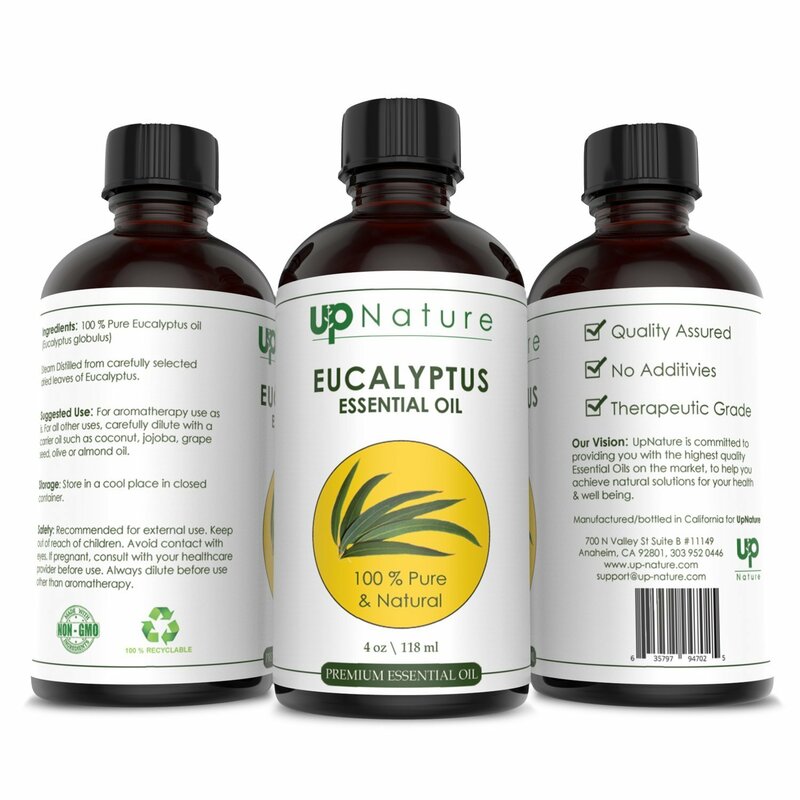 Eucalyptus oil is so versatile that it is not only antifungal and antibacterial for your body, but for your home as well! A natural deodorizer, eucalyptus oil can kill household germs without the dangers of harmful chemicals. ✔ Refreshes the mind, invigorates the body and purifies the spirit. ✔ Helps in repairing damaged skin & provides a soothing sleep. 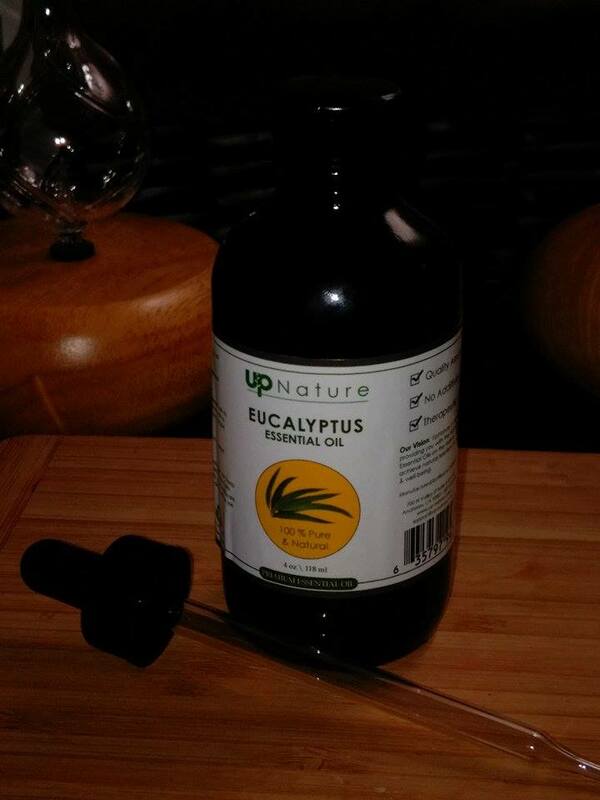 ✔ Prevent colds - Applying eucalyptus oil to a cold sore may help reduce the pain and speed up the healing process. 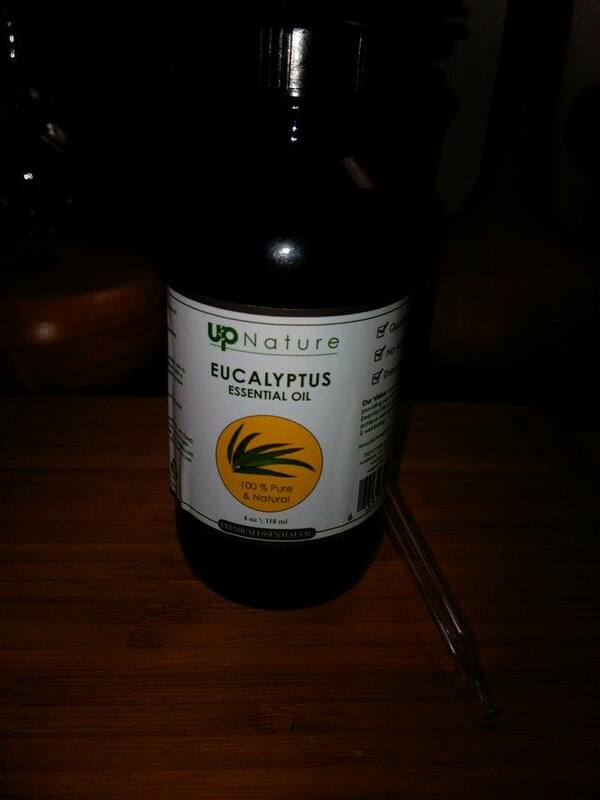 ✔ Treat respiratory problems & breathe much easier - Conditions such as asthma, bronchitis, COPD, pneumonia, sinusitis and even tuberculosis can be relived simply by inhaling steam with added Eucalyptus Oil. ✔ Pain relief - Eucalyptus Oil may be beneficial for pain relief and/or useful to athletes as a passive form of warm-up. 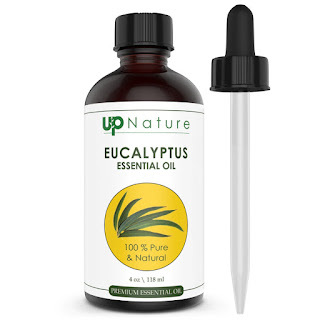 ✔ Hair Nourishment - Just a tiny few drops of Eucalyptus Oil will give your hair a nice moisturizing pick-me-up. 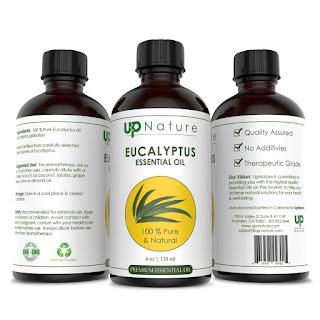 ✔ Spot Remover - Eucalyptus oil is highly effective at removing spots on your carpet, clothes and basically every fabric you have in the house. Being a collector of essential oils, I was happy to get this 4 oz bottle of Eucalyptus Oil from Up Nature. 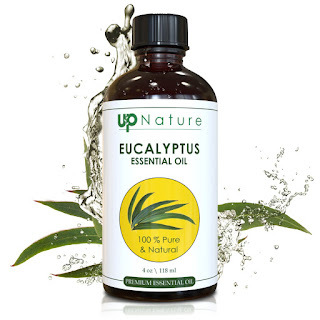 Eucalyptus is one of my favorite scents in aroma therapy and this one is a very nice one. 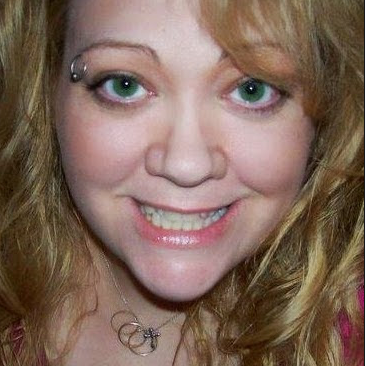 I love that it is 100% pure and natural. I really like that it has so many beneficial uses. I find it to be a nice pick me up when my sinuses are acting up. It's germicidal, antifungal and antibacterial properties help with a number of ailments naturally. I did not know until now that it is a stain remover on most fabrics as well. I think this is a very nice essential oil and I recommend it.